A mad scientist has invented a super cure to all the world's woes. The problem is, it's unstable. 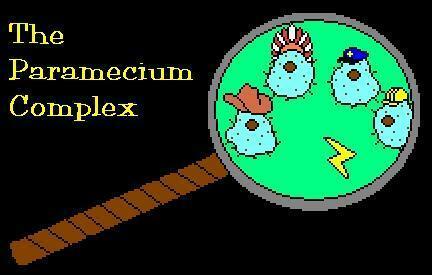 You must enter the Paramecium Complex and save the day! "Funny as hell, but lacking a point." This game is very original. The dialogs are funny and witty. It's a bit hard to understand the game mechanics at the beginning, and by the time you've found out what to do, the game is over. I think it has a lot of potential for a longer game, in exactly the same style.